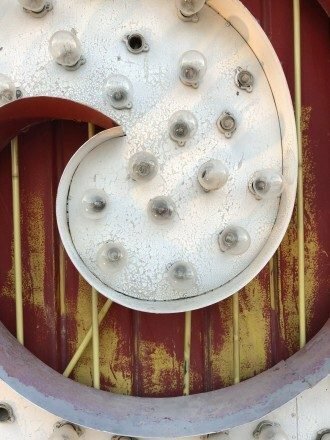 It’s hard to imagine Las Vegas without the neon. 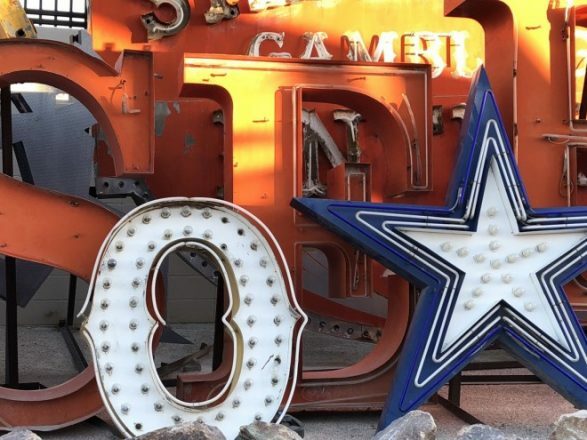 The flashy signs and iconic lights seem to be part of the desert town’s DNA. 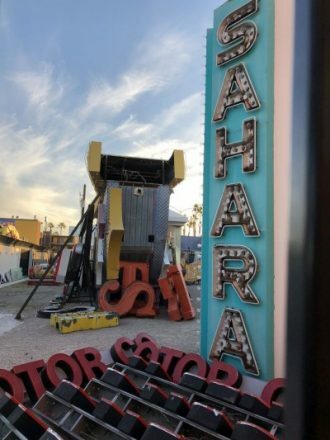 But like a limited engagement run by Mariah, even the flashiest of signs has an expiration date. 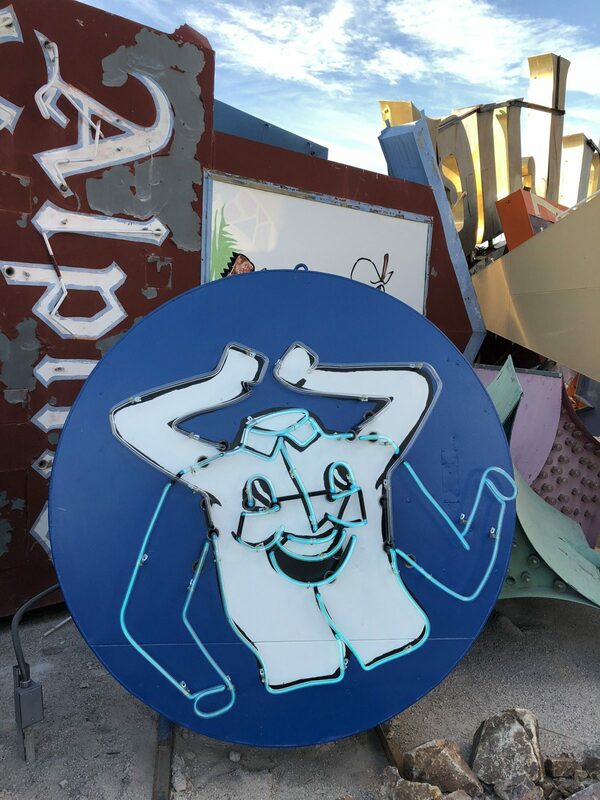 Fortunately there is the Neon Museum and Boneyard where visitors can wander among some of the retired billboards for a big of neon nostalgia. 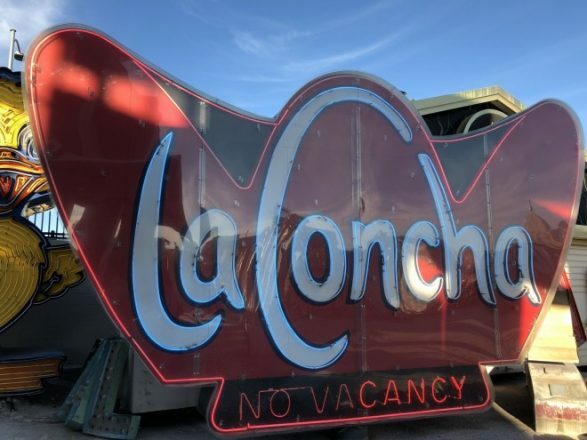 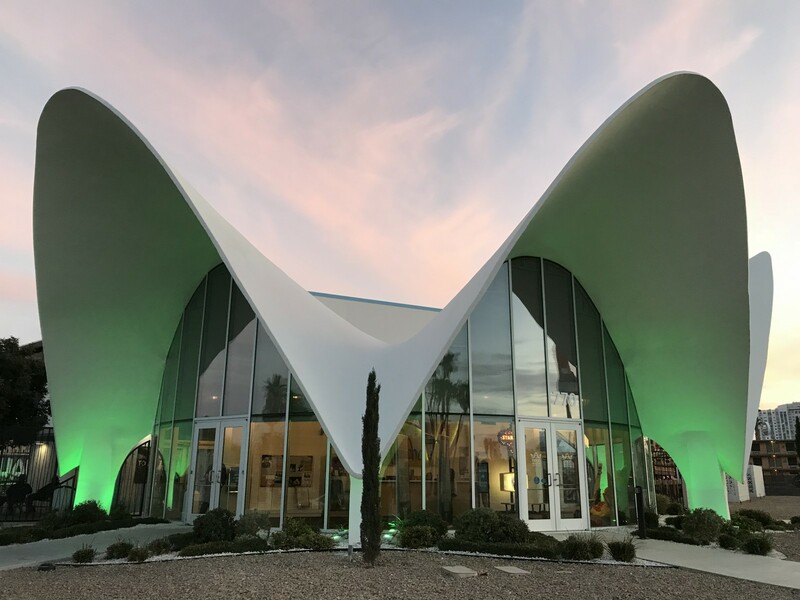 Located well off the strip on North Las Vegas Boulevard, The Neon Museum‘s Visitor Center is set in the shell shaped former La Cocha Hotel Lobby, designed by famed Los Angeles architect Paul Williams. 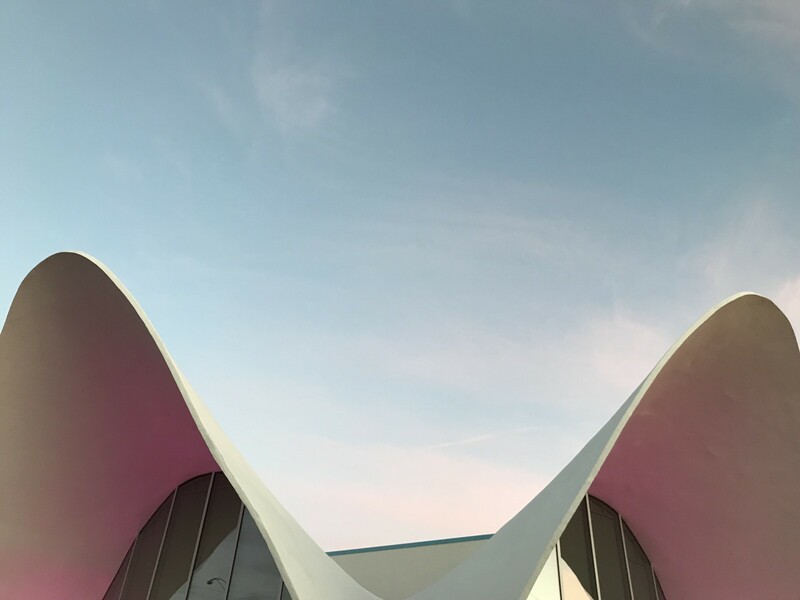 Williams is best known for his mid-century buildings and has been credited with designed the distinctive Theme Building at Los Angeles International airport. 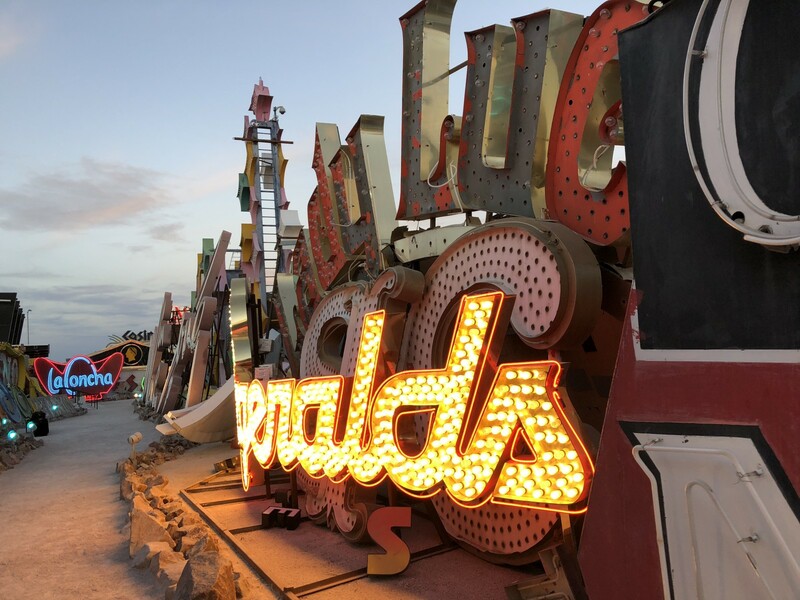 The Neon Museum features has an outdoor campus of over two acres of retired signage from local casinos and businesses. 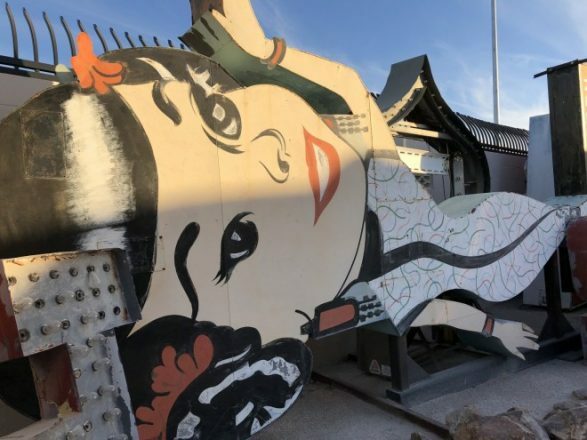 In addition to scheduled tours and photographer’s tours, the museum hosts some other interesting happenings. 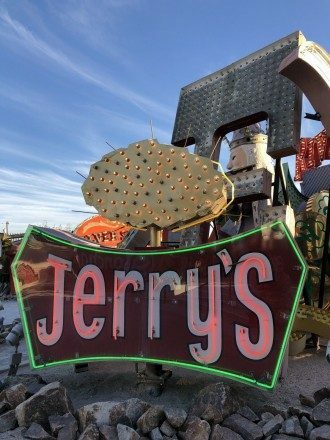 I visited the Neon Museum for one of their scheduled photo walks. 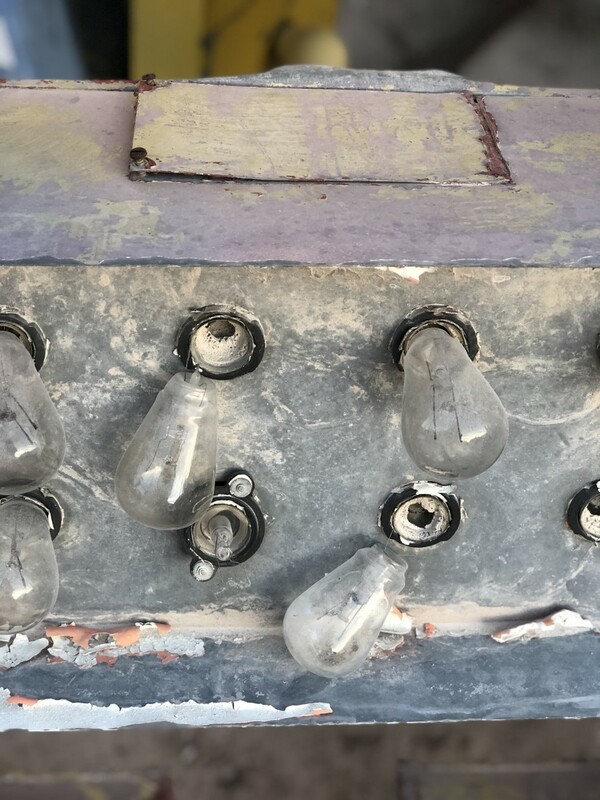 It wasn’t a guided tour but rather a supervised time around golden hour when we could wander the grounds and photograph the vintage lightbulb goodness. 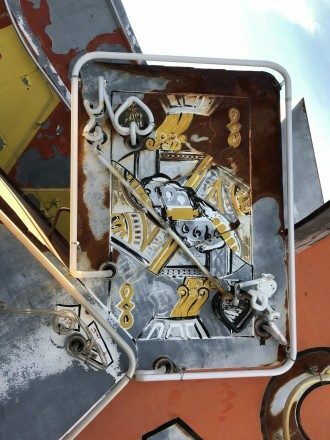 Some of the old signs are still illuminated and some are in better condition than others. 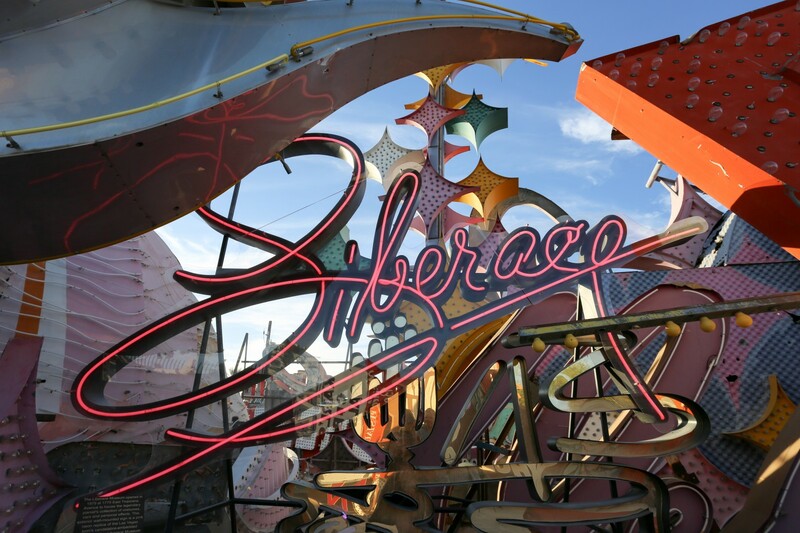 The sign from the now shuttered Liberace Museum was a crowd favorite. 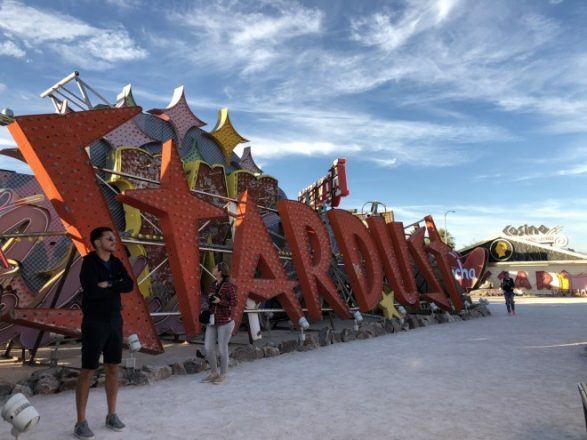 There is even a sidewalk stargazing event in collaboration with the Las Vegas Astronomical Society. 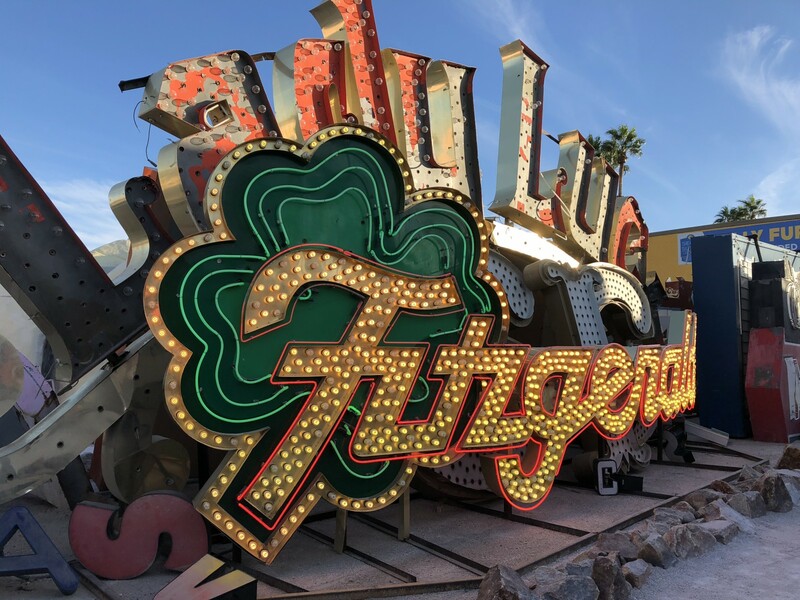 There is some old Vegas represented here including signs from now-shuttered Fitzgerald’s Casino. 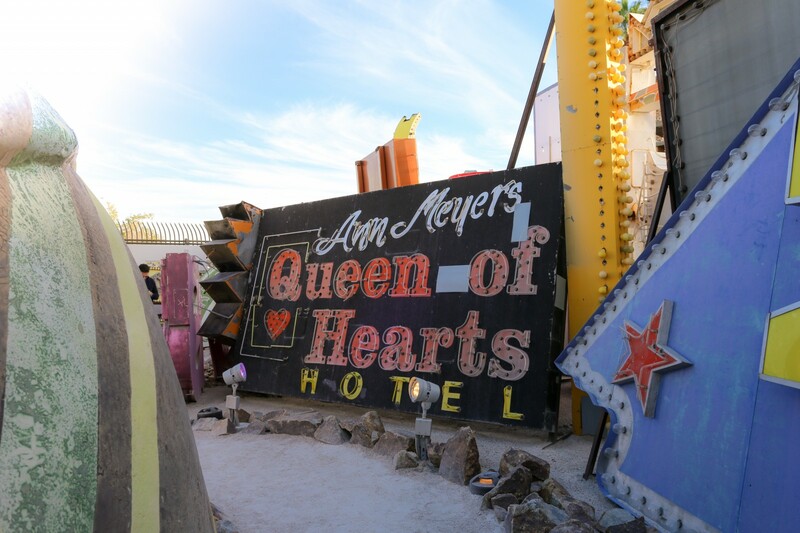 It was a lot of fun to enjoy the desert air and shifting light while exploring the boneyard during the photo walk. 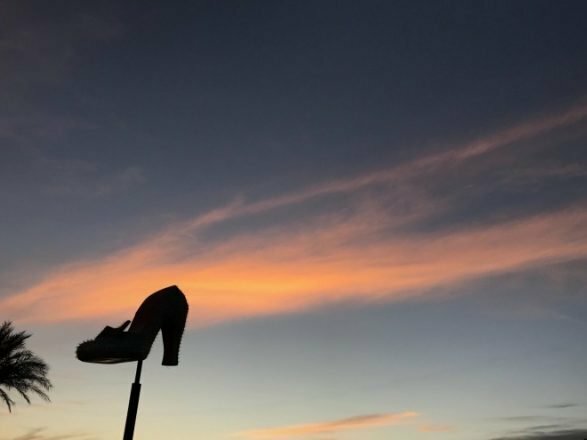 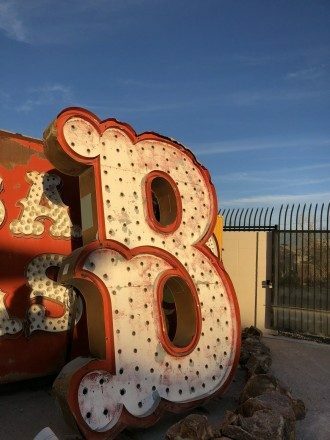 The Neon Museum’s grounds are available for photo shoots and special events (including private parties and weddings). 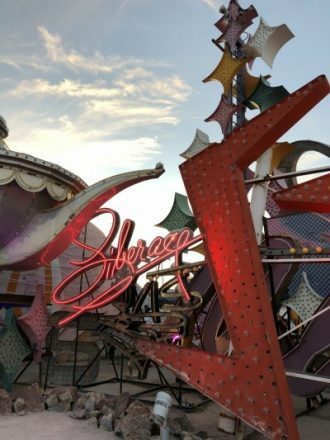 Some of the signs are still partially illuminated. 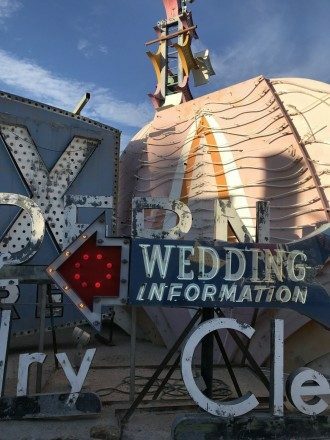 In addition to advertisements from former casinos, there are retired signs from motels, dry cleaners, bars and wedding chapels. 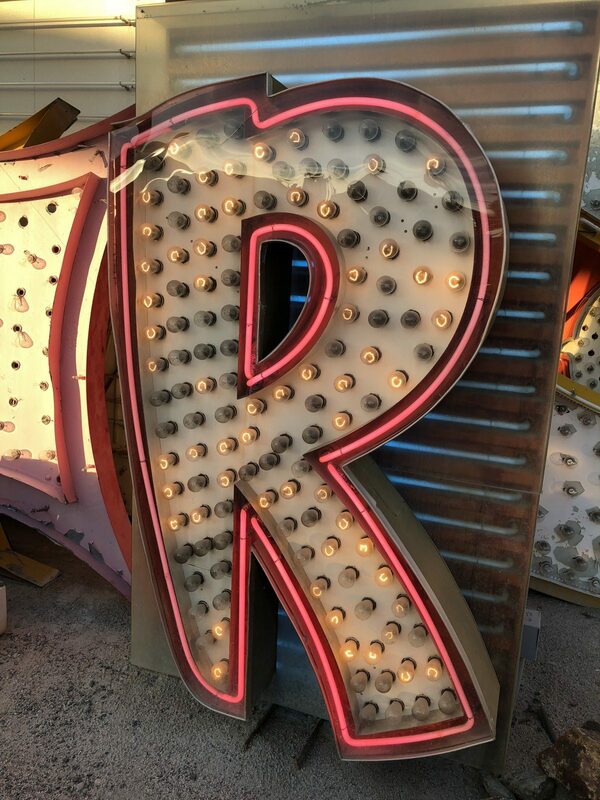 Getting close to the signs you can see how the lightbulbs and neon tubes work together. 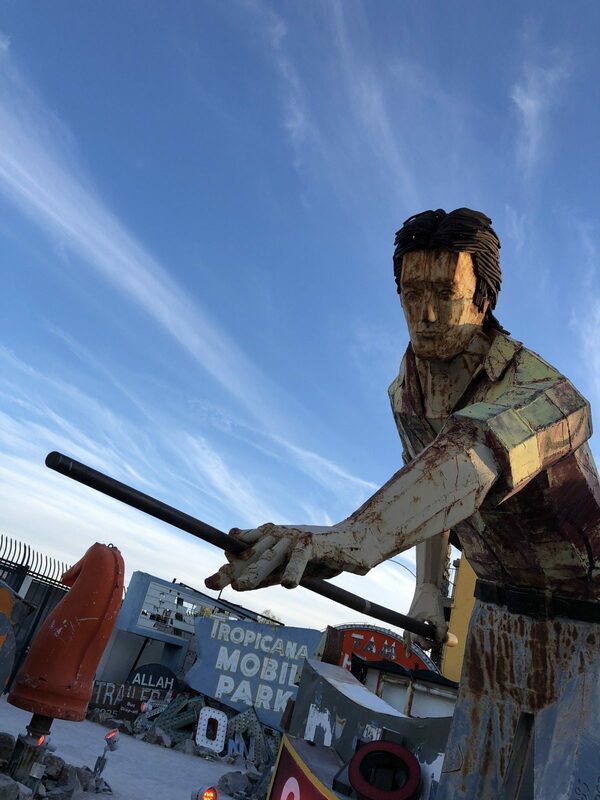 The is some sort of decaying sense of beauty to the shattered glass and fading paint lovingly laid to rest in the boneyard. 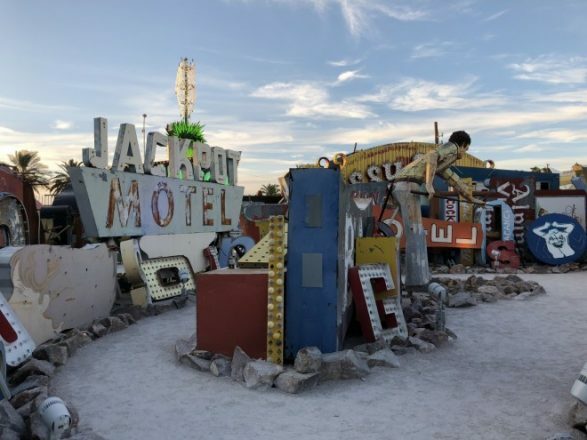 Walking through the boneyard you start to think about just how non-compostable the leftover lightbulbs are. 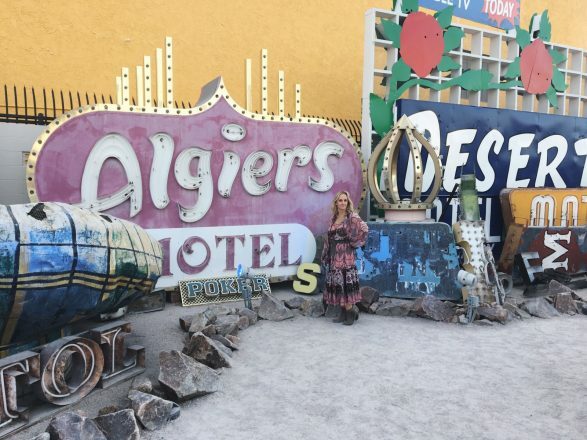 If you’re looking for interesting things to do in Vegas and want to get off the strip, I highly recommend a visit to the Neon Museum. 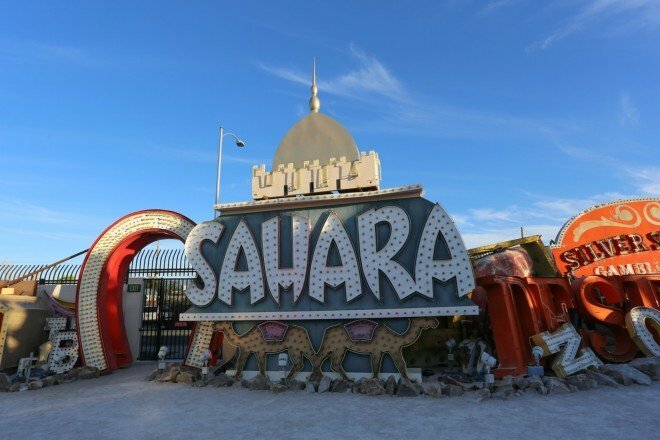 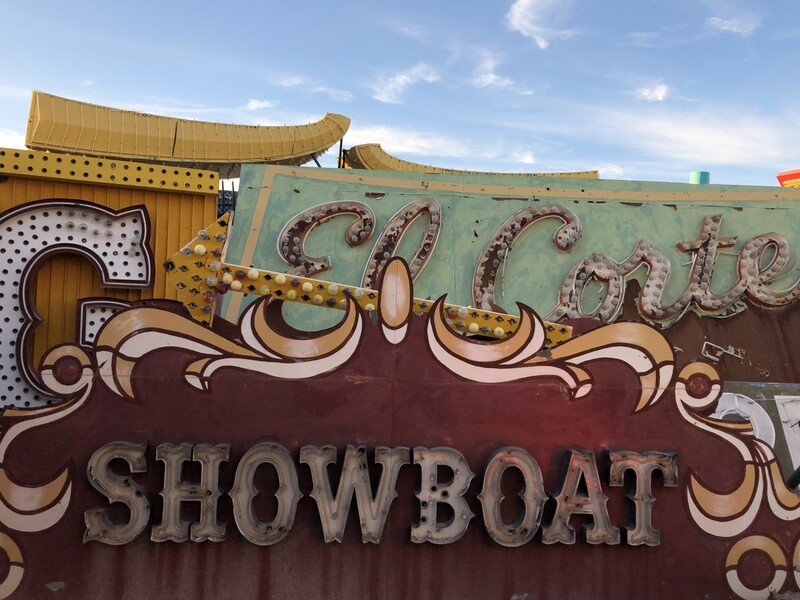 It’s an interesting and well preserved slice of Vegas history and a unique opportunity to see it up close. 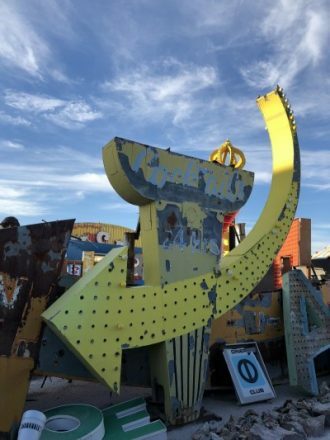 If you can’t visit in person, it’s worth checking out the Neon Museum’s instagram. 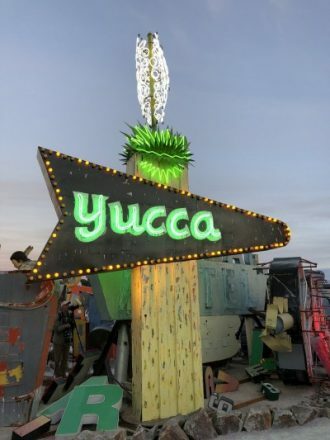 The illuminated Yucca sign was a personal favorite of mine. 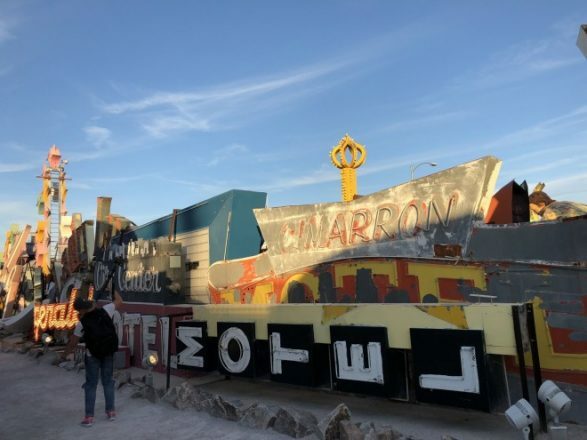 The Neon Museum is also a great place to visit if you don’t consider yourself a traditional Vegas visitor and dislike gambling and over chlorinated pools. 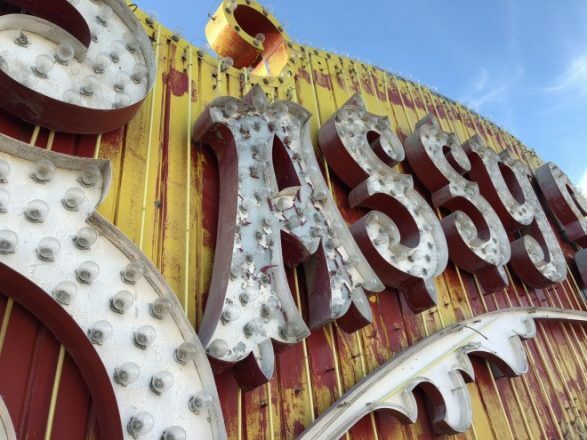 The Neon Museums offers tours daily.